Onesta Hair Care is a Minnesota-based manufacturer of organic hair care products. Virtual Monk designed a website that reflects their progressive, sustainable values. 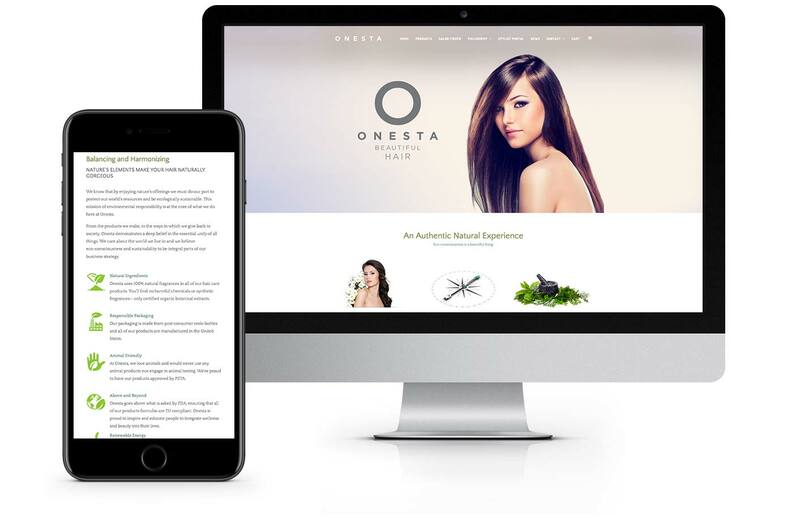 www.onestahaircare.com features an interactive salon finder, animated text, two header videos, parallax imagery, professional copywriting and a beautiful, functional, customized E-commerce cart with product rating system. Virtual Monk optimized the site for search engines using organic SEO best practices.